We have survived! 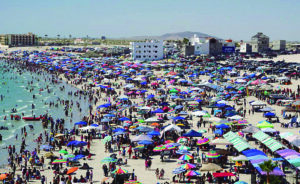 March was a fantastic month and our Spring Break and Semana Santa were out of this world with thousands of tourists enjoying our beaches and patronizing our local businesses. It seems to me there were a lot more people than last year: I’m not sure how many visitors we had, but I heard a radio station quoting 170,000 visitors in just one month! I drove around town on one of the busy Saturdays: I started on Calle 13 about 3:00 PM and almost turned and headed out because it was totally packed. There were tons of people walking, drinking, eating, riding ATV’s and just cruising. Next I went to the Malecon since that seems to be where most of the action is during big weekends, and especially Spring Break and Semana Santa. 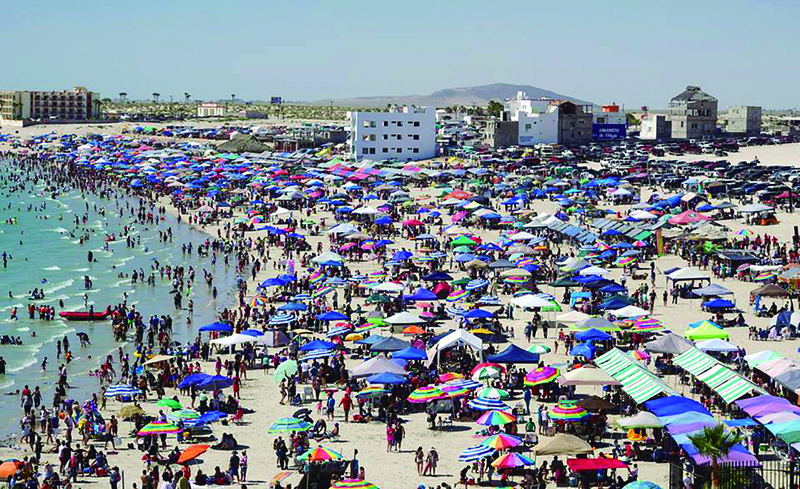 It was a long line to get in, but it always is when Rocky Point is packed with vacationers. Once I was there and having a good time, I wished I was 20 again…so I decided it was time to go home. Ahhh, to be young again. Talking about people riding ATV’s around town (and motorcycles too) – there has been a lot of talk about a new law that requires all riders to wear a helmet. All of the press was asked to attend a meeting about this new law on March 8th, but the meeting didn’t happen. I hounded our local police station with visits and phone calls and, after several tries, one of the officers did confirm that the helmet law has been in effect since November 17th. 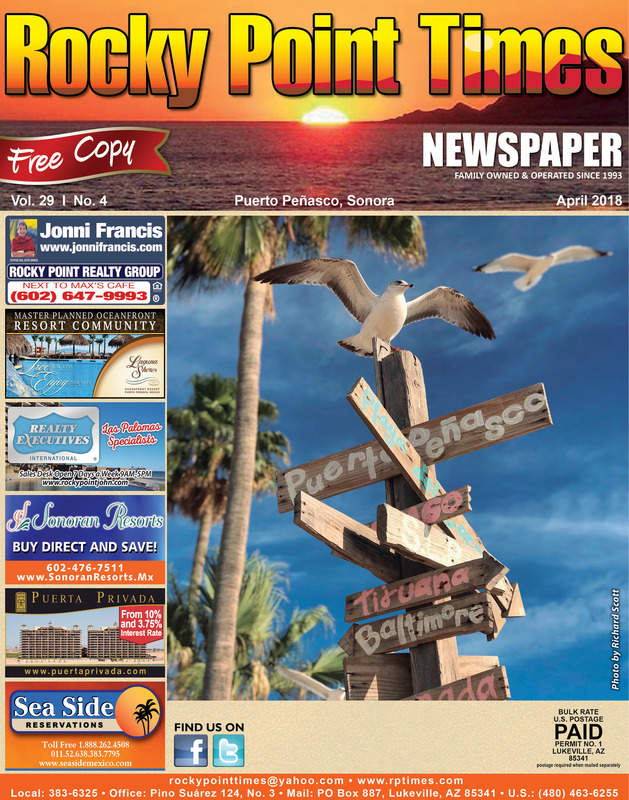 So, from now on, everyone riding on, or driving an ATV or motorcycle in Puerto Peñasco, needs to be wearing a helmet or they will be fined at the police station. As far as we know it is official. We’ve been told that for years, and always tell everyone to wear a helmet when riding an ATV. I personally think it is a good idea because we have had several accidents and wearing a helmet can save your life. I know many people will be upset, but it is now officially the law. Now our next question will be is it really also for motorcycles riders – like Harley’s and street bikes, not dirt bikes? And how is it going to affect the Rally? Chime in on Facebook as to your opinion of the “new” helmet law and let us know what you think. As soon as we know what the official word is, wel’ll get it out there on social media – and in the paper, of course. Probably all of you are familiar with Spring Break and many of you with Semana Santa, which for us is a big party for four days. Not only is it a big party, but it’s mainly a time when families get-together…so it’s a big party! Friends and family come from all over and we enjoy lots of food and drink. Many go to the beach – as you have probably noticed – and we listen to live music, eat, drink, dance and have a great time. The gathering and popularity can probably be equated to your Thanksgiving gatherings – where families make it a tradition to get together and enjoy a few days of food and fun and each other. Now that we are in Spring and Winter looks like it completely skipped us, it’s time to service your home and vehicle air conditioners since Summer is right around the corner. (I predict more rain, but Sandy, Alicia and Lannette never believe me – so you’d better check your windshield wipers too!) Don’t forget we have many local businesses that can get your vehicle air conditioning serviced and cold as ice and it is super inexpensive. 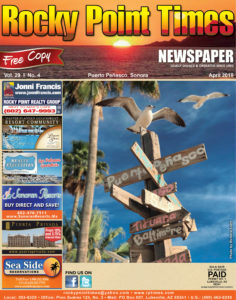 If you need recommendations, you can hit us up on Facebook or shoot us an email at rockypointtimes@yahoo.com. On a completely different subject, we would like to congratulate Juan Francisco “El Gallo” Estrada on his fight last month. Even though he lost the fight, all of the people of Rocky Point believe he gave a great fight and, of course, we think he should have won…but the judges have the final say and they were fair if I have to be honest. If you don’t know who El Gallo Estrada is, he is a native boxer from our port and from a neighborhood here close to our offices. He has come a long way and he has won a World Championship and has put the name of Puerto Peñasco up high. We wish him all the best and hopefully he will get a rematch soon so he can prove that he is the winner we all know!! And continuing with the boxing subject, we have a future prospect too. He is a young boy everyone knows as “El Bombon”, and I will write more about him on the next editorial. That’s it for this month, you know time flies and will be reporting next month…thank you for reading!